Softesse® ® is one of the most advanced, medical non-woven fabrics available. 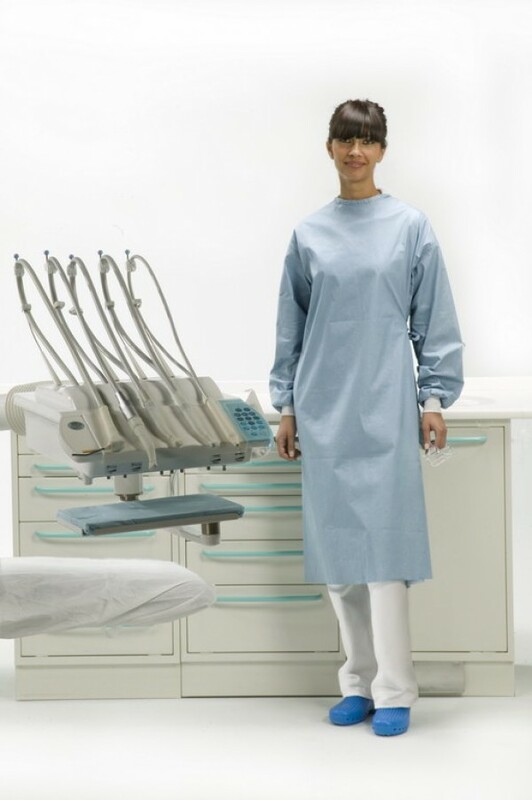 The high liquid-repellence, combined with exceptional comfort, makes this gown the ideal choice for lengthy working days and the treatment of high-risk patients. Features include a velcro closure, cotton cuffs, double internal and external side laces, surgically folded and includes 2 hand towels.